24-hour Emergency Room (ER) in Houston, TX 77042. Looking for the nearest ER that is open 24 hours? 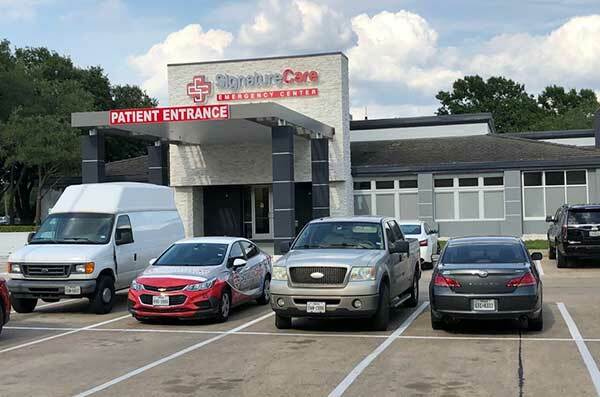 Our free standing emergency room and walk-in clinic in Houston’s Westchase District is open 24/7, and equipped to handle most adult and children (pediatric) medical emergencies. Staffed by experienced board-certified physicians and licensed nurses, our emergency medical clinic accepts walk-ins – with or without medical insurance. Our emergency room doctors are available 24 hours to treat various medical emergencies including injuries, abdominal pain, broken bones, burns, seizures, pneumonia, infections, and more. We are open 365 days a year and we function like a large hospital ER without long wait times. Located near you at 11103 Westheimer Rd, Houston, TX 77042, we are your first choice for emergency medical care. Our modern ER is equipped with onsite laboratory, CT scan and X-ray machines. Residents of Westchase District, Houston, TX 77042, Alief, Briarforest, Westside, Bellaire, Memorial City, Braeburn Glen, Greater Fondren Southwest, River Oaks, Citycentre Plaza, Woodlake Briar Meadow, Town & Country Village, Spring Branch, Jersey Village, Energy Corridor, Missouri City, Piney Point Village and other communities around the 77042 zip code now have a 24-hour emergency room within walking or short driving distance of their homes or businesses. Most patients are seen within 10 minutes and we typically have little to no wait time. Why Visit SignatureCare Westchase Emergency Room? If you are looking for an emergency room near you in 77042 area, look no further that SignatureCare Emergency Center Westchase, SW Houston. Dr. Ofer Faig is a board-certified emergency medicine physician. He obtained his medical degree from Rutgers – New Jersey Medical School in 2008. He completed his residency training in emergency medicine at Morristown Medical Center in NJ in 2011, following which he relocated to Houston, TX. He had been practicing emergency medicine throughout the Memorial Hermann Hospital system since 2011. Dr. Faig joined SignatureCare in August, 2015 with the opening of our Montrose location. He served as the medical director of the Montrose location during 2017. He assumed the role of medical director at our Westchase location when it opened in June, 2018. In his free time he enjoys spending time with his wife and two daughters.